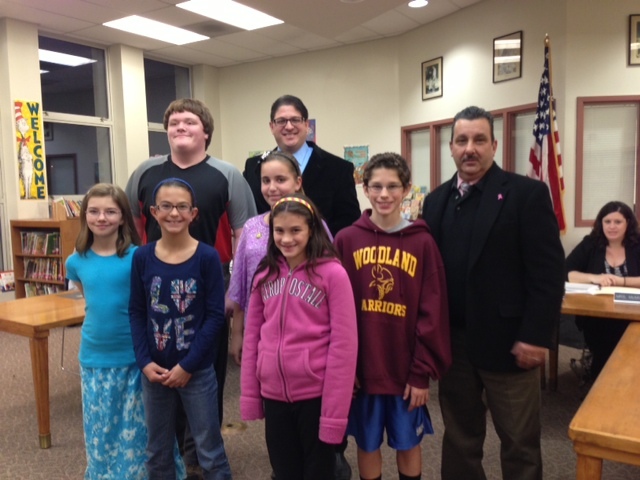 During the monthly Barrington School District Board of Education meeting Monday, Woodland School Principal David Zucker took a moment to recognize several top students. The students, as noted in previous presentations, are not necessarily just those with the best grades. They also include individuals who have accomplished something worthy of extra praise. Front row: Arianna Sweeney, Natalie Rehn and Jessica DiNardo. Third row: Woodland Principal David Zucker. Not pictured: Hannah Carr, Molly McShane, Anna Drew. 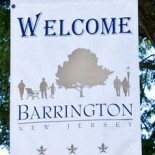 This entry was posted on November 21, 2012 by Barrington Bulletin in Schools and tagged students of the month, woodland.